September 2, 2012 (La Mesa) – The La Mesa Historical Society will hold its fall History Roundtable event on September 15 from 10 a.m. to 12 p.m. at Grossmont Community College, Room 26-220, 8800 Grossmont College Dr., El Cajon. 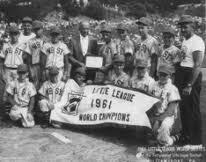 The topic for the event is “La Mesa Youth Baseball World Champions” which focuses on La Mesa’s astounding your baseball success in the late 1950’s and early 1960’s. As with the recent run of the Lemon Grove Senior Little Leaguers on their World Championship quest, the La Mesa Historical Society’s history roundtable will help re-live those days when baseball was king in America, and La Mesa was the capital of the youth ball kingdom. The Roundtable will feature at least half-a-dozen players from each of the 1957 La Mesa Colt League and the 1961 Northern (Fletcher Hills) Little League World Championship teams. 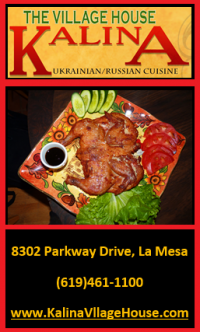 The event will begin with moderator and local historian Jim Newland’s short presentation on La Mesa’s baseball heritage followed by the main program of players reminiscing on the exciting stories of the two championship tournament runs, and the efforts of not only the players and coaches, but the fathers, mothers, siblings, and community leaders who supported La Mesa’s champions. The players will respond to questions and be available to meet with the public after the formal session. The presentation will finish with a video replay of the 1961 team’s 6th inning “walk-off” victory. Exhibits featuring memorabilia from the teams will also be on display.